Friendly staff, knowledgeable management, awesome mechanics, always complete work on time and work completed with no complaints! We give all business to Bismarck motors, Hyundai! Had to have car towed from Watford City to Bismarck and the tow was covered. ($1,000 bill maybe) Had no appointment, didn't know if they could see me that day. Turned out to be minor. Out in a few hours. Under warranty. This dealership has the friendliest staff who understand how to take care of a customer. Their dealership has amenities you won't find at other VW dealerships. Warm, comfortable, close to EVERYTHING, and a staff that knows how to treat you well. Give them a chance to wow you too. Top notch customer/ sales service. No high pressure sales. Very pleased with the whole experience. My daughter absolutely loves her new car. Great folks who really care about their customers and taking care of veterans! 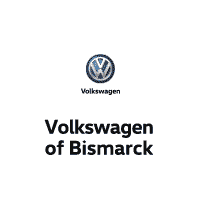 Incredible customer service.I purchased my second vehicle from these guys (the umbrella of Bismarck Motor Company as a whole, that is) about a month ago, and I noticed recently that there was (what I thought) -- paint damage on it in several places already. When I brought it in, it turns out it was just adhesive from the factory that wasn't removed before sale. I was relieved that it was only that, to say the least. But then...The salesman I spoke with took the time to personally remove it, and make sure everything was right. He didn't have to go as far as personally handling it, but it just goes to show the incredible level of service that they rise to for their customers. I'm impressed, and they can be assured that I'll be a customer for life now.